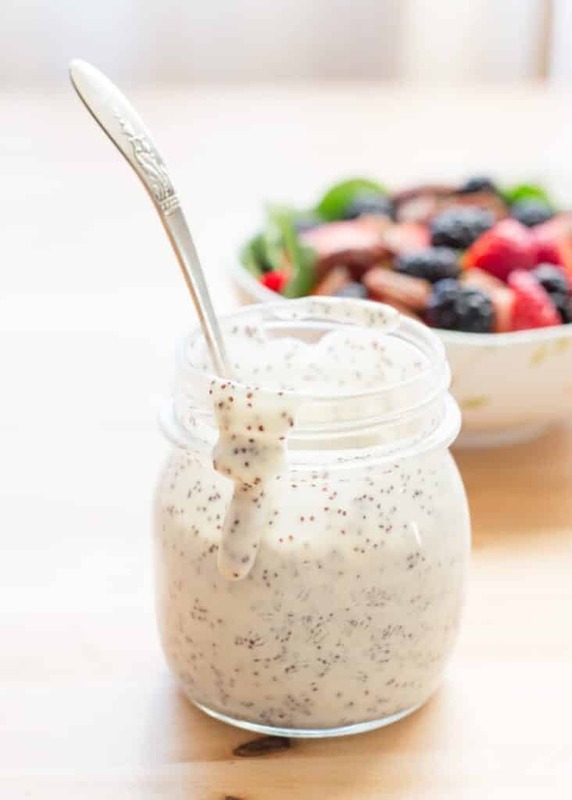 This creamy sweet poppyseed dressing has had a regular home in our refrigerator for several years now. Sweet and slightly tangy, feel free to adjust the sugar and vinegar to taste. This is a pretty sweet dressing and I tend to use just a drizzle of it for a big salad. This recipe has completely replaced the poppyseed dressing that I faithfully bought for years and years. I truly love this dressing. 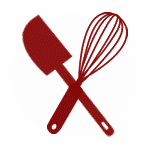 Combine all ingredients and then whisk until smooth. Transfer to a jar and refrigerate until you are ready to serve. Shake well before using. This will keep well in the refrigerator for up to a week. Enjoy! Beautiful! I think it's amazing how simple dishes can be so tasty and beautiful at the same time. Yum! I'm going to use honey instead of sugar! MMMmmmm, good! Surely that should be Yoghurt ? Mayonnaise is correct. It's very common in salad dressings. Enjoy! I followed this link over from a search for a copycat recipe for the Costco kale salad. I was super excited to find this recipe. Unfortunately, when I made it, the mayo taste was really dominant. It tasted kind of like Miracle Whip with poppy seeds. I adds a quarter cup of Greek yogurt , which helped some. Do you have any other suggestions? It made a really big batch, and I'd hate to ditch the whole jar. Well, the recipe is written for mayonnaise, not for Miracle Whip. The flavor would certainly be different in that case. I typically use Best Foods mayonnaise when making this recipe and the flavor is not dominant at all. Hi... I am a Busy "Mom", as I imagine you to be as well, and sometimes hurriedly misspell a name or note down an incorrect number....But, unless Amounts are Incorrect? (I don't think so because this is Really Good! ), or there is a Missing Ingredient (I would like to know what could make this Better? ), the "Yield" posted for this Recipe should read 1 1/2 Cups...Not 3 1/2 Cups. 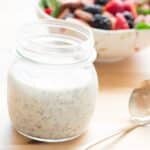 Great Recipe...Poppyseed is My Husband's Favorite Dressing! I'm thrilled you are enjoying the dressing. It is still one of my favorites. Thanks for taking the time to let me know the yield amount was noted incorrectly. I haven't tried dairy-free alternatives myself, but I'm guessing this will work fine with almond or coconut milk. Made it for dinner tonight on a lettuce and fruit salad and it was easy and delicious! 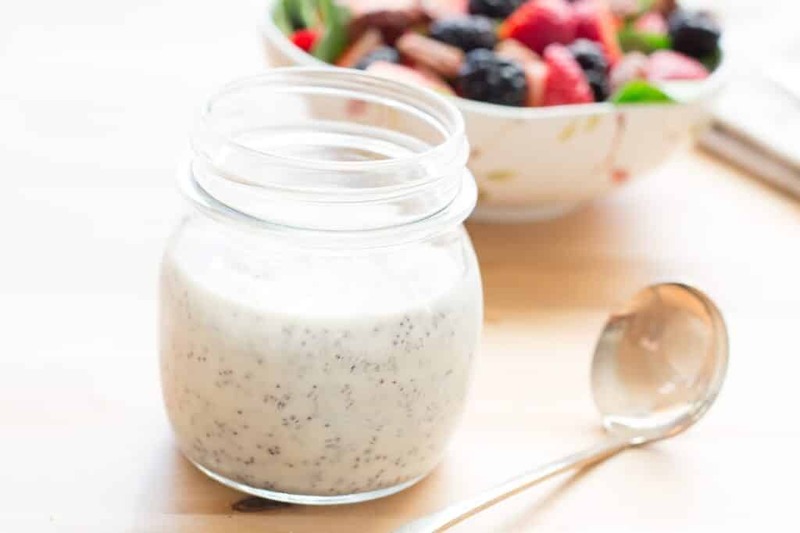 This is the best creamy Poppyseed dressing! I make this often & my entire family loves it ! They have even commented it’s so good they want more salad.! I am always asked for the recipe. And if I’m making a salad to take anywhere I make the dressing & it’s always a big hit. I'm so glad you're enjoying this dressing, Terrie!